When I first saw the image of this foundation, I was so excited I thought my heart was going to explode and when I heard it was exclusive to the UK and Asia, my heart literally broke. When it became available, I immediately made my first ever order to Selfridges, where this foundation is exclusive. 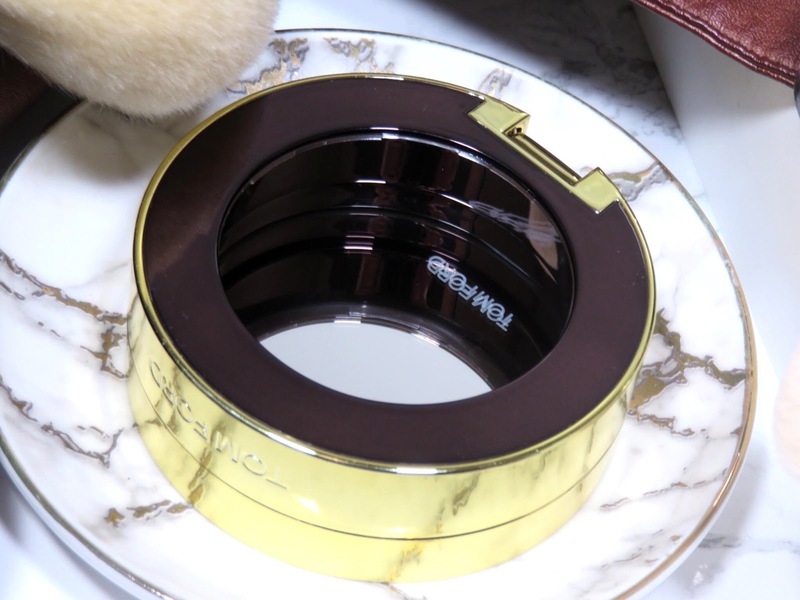 However, Selfridges would not ship the compact only the foundation itself! Why? I don't understand but this was probably the most devastating part because the biggest part of luxury makeup is the luxurious packaging! While I was extremely excited to try the foundation, I was even more excited to hold the beautiful compact in my hands. With all the up and down disappoint and scramble to get this product, it appears that this product is coming to the U.S. 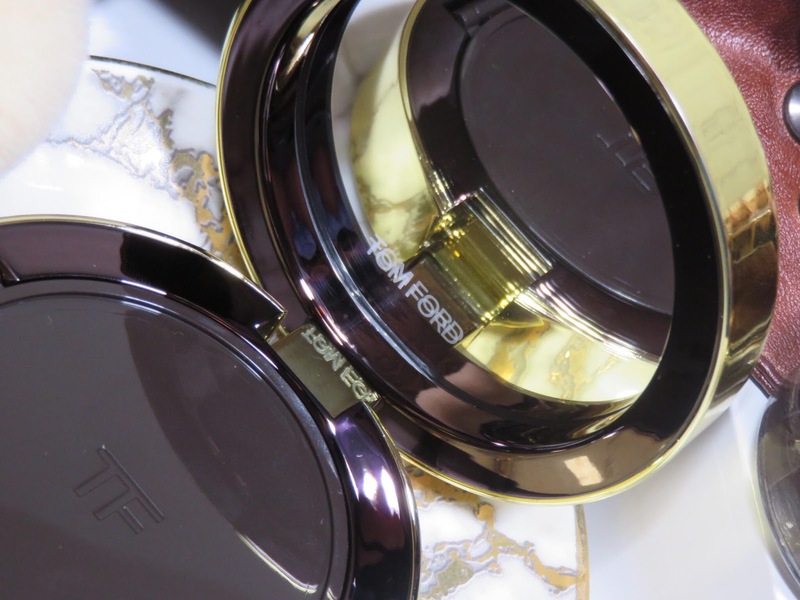 I believe because of the outrage and popular demand of all of us Tom Ford fans in the U.S. who couldn't get a hold of this foundation and compact. It was heavily featured in the Tom Ford NYFW runway show, yet they weren't going to sell it in the U.S.? It made no sense! What makes even less sense is the shade range but I will get into that in a second. 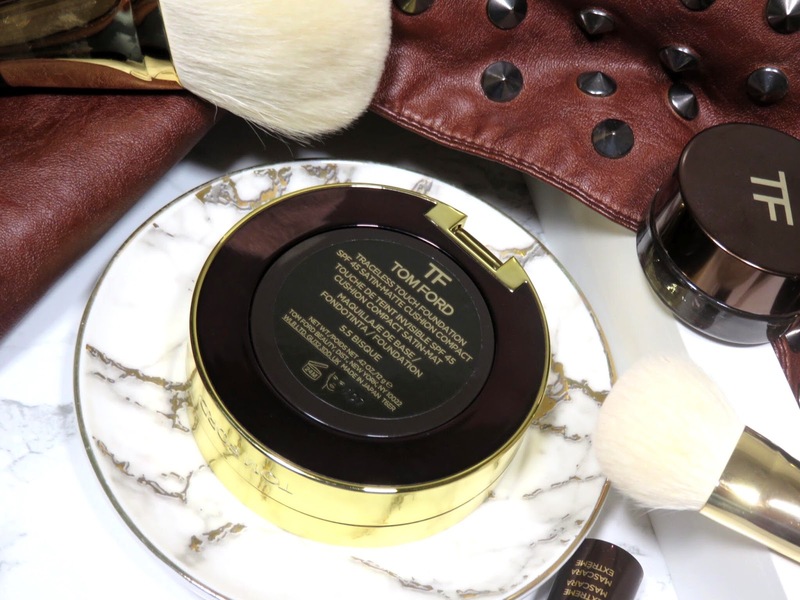 The Tom Ford Traceless Touch Cushion Foundation Refill retails for $46.50 and is currently available at Selfridges. This refill comes with the .42oz/12g cushion foundation and a applicator sponge. Compared to some of my other cushion foundations, this one comes with a bit less. 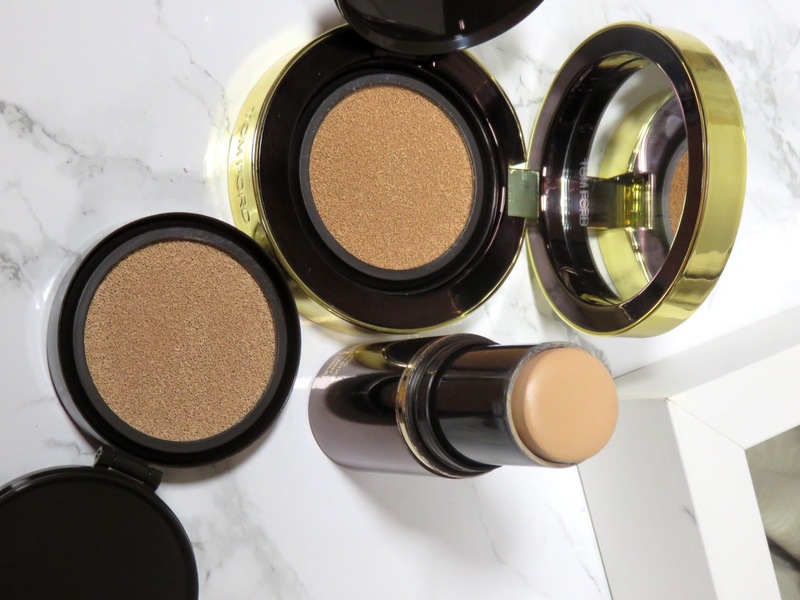 The Dior DreamSkin Cushion (review here), the La Prairie Essence-In-Foundation (full review here), and the Mamonde Brightening Cover Watery Cushion (full review here) all come with .5oz/15g. 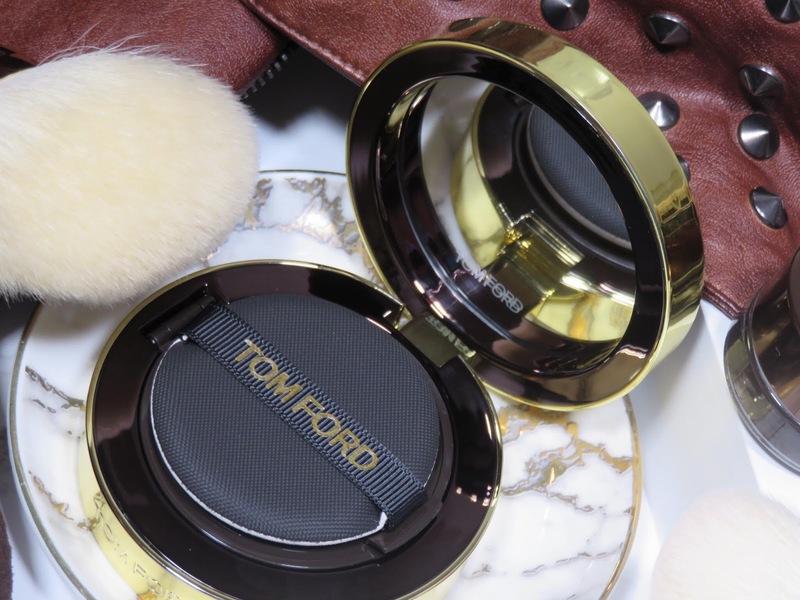 This seems to be the standard volume of product for a cushion foundation despite the price point however, it seems Tom Ford is sneakily giving us slightly less. 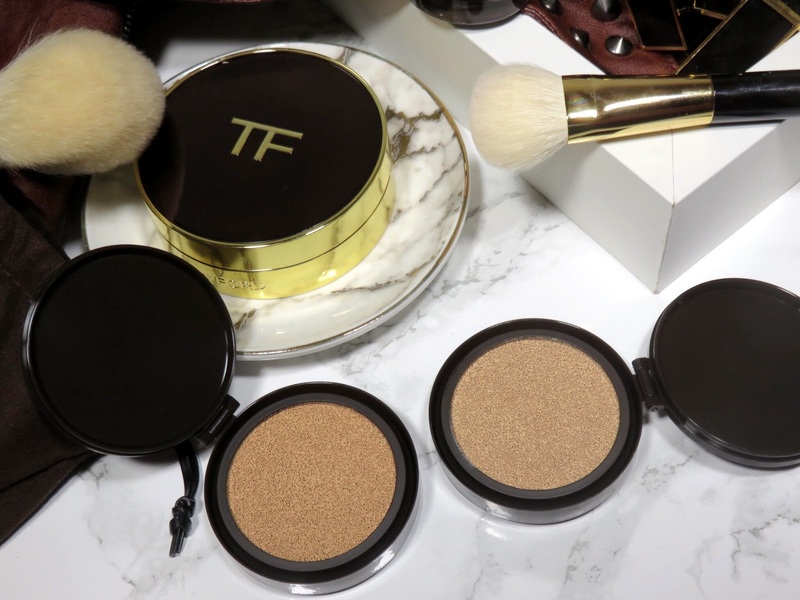 The Tom Ford Traceless Touch Cushion Compact retails for $26.50 USD and is currently available at Selfridges. This was an ordeal to get a hold of because initially Selfridges website would not ship this to the U.S.! However, a couple weeks after its release, I was able to order it online and get it shipped to me. Perhaps the first release of the compact was for U.K. only and they wanted to get it to U.K. residents first? I'm not sure but I was eventually able to order it. It was annoying because without the compact, the product felt very incomplete and didn't have any luxurious feel to it. Frankly, the hinge on the plastic refill feels quite flimsy. When I was finally able to get a hold of the compact, I must say, I'm quite disappointed. 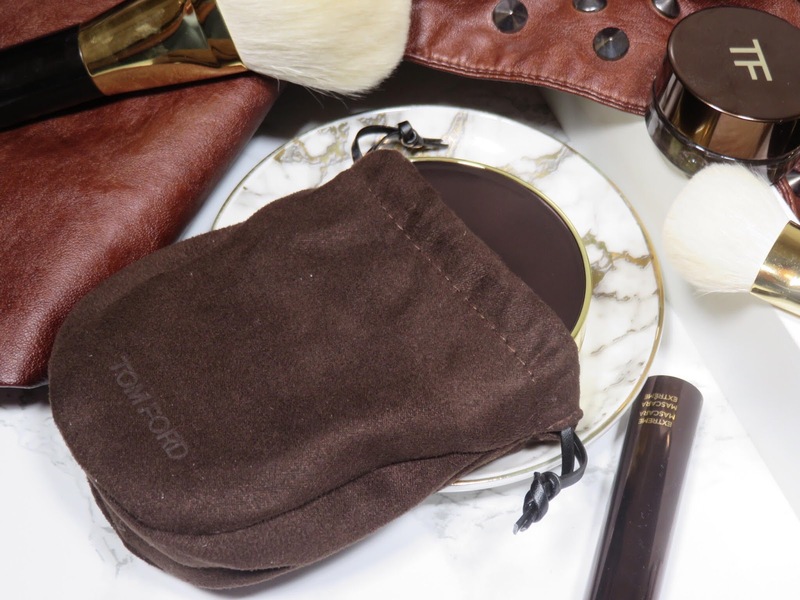 The compact comes in a drawstring pouch made of the same suede-like material that often comes with the Tom Ford eyeshadow compacts. The drawstrings made it a bit difficult to open the pouch. 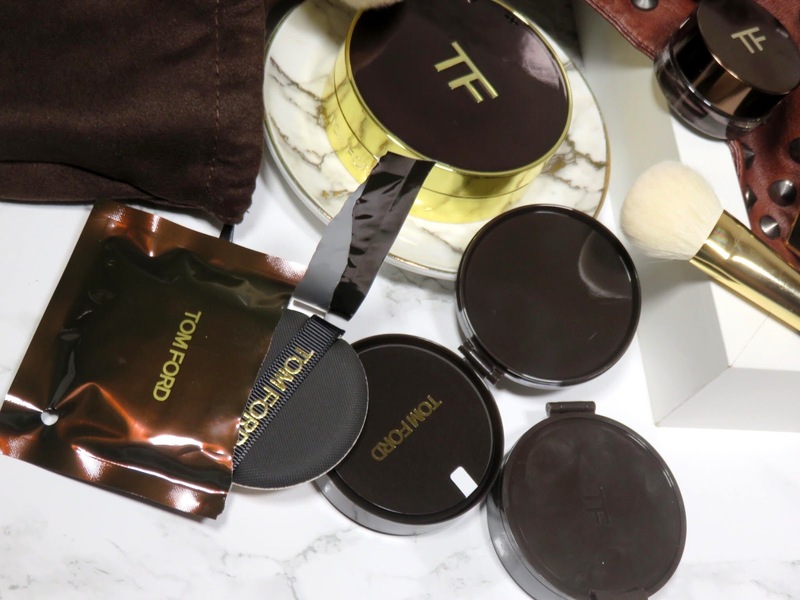 I would appreciate having the pouch more if the compact itself felt more luxurious but it is made of very lightweight plastic and really lacks the luxurious weight of a luxury compact. I just expected more of a hefty and substantial packaging but it doesn't feel very special. 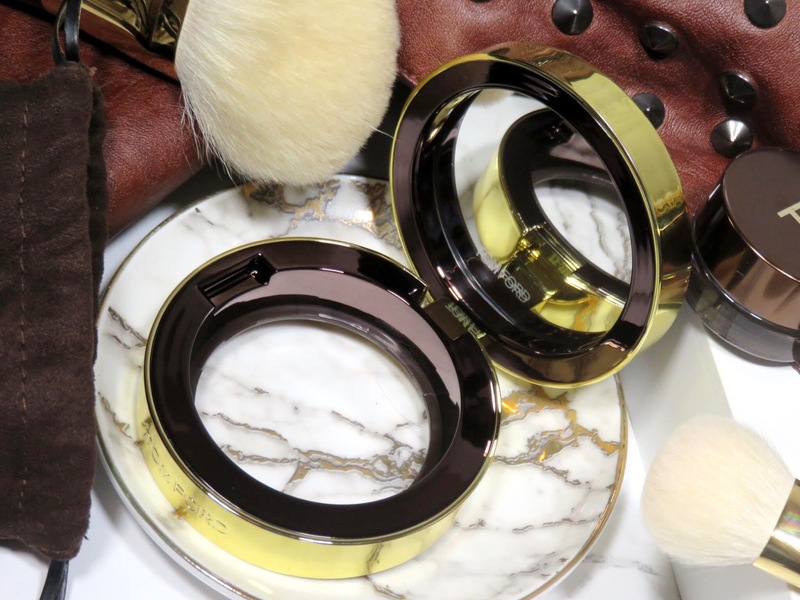 The compact is Tom Ford's classic cognac lacquered compact ringed in gold and with gold detailing. I looks much more opulent and luxurious than it feels. 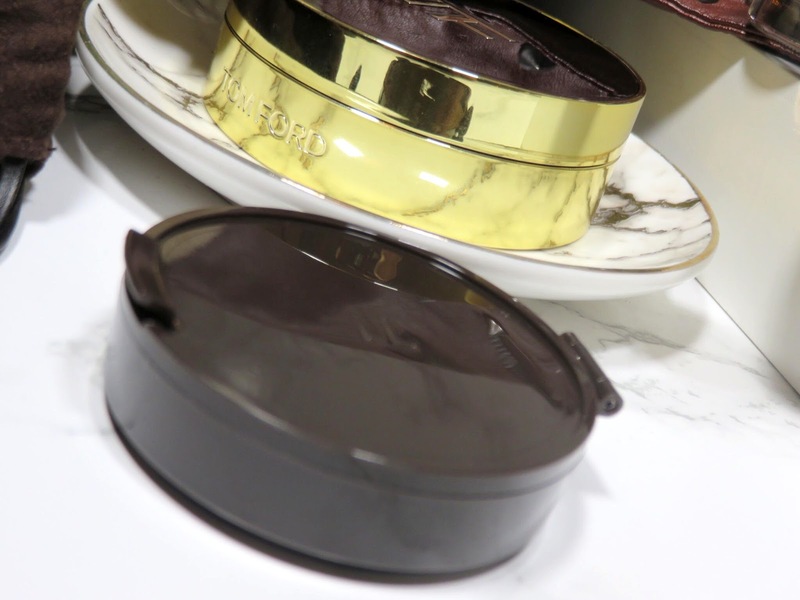 The compact has a magnetic closure, which I really do love and find to be very luxurious! The compact is very fingerprint-prone, so having the pouch does help prevent fingerprints and scratches. 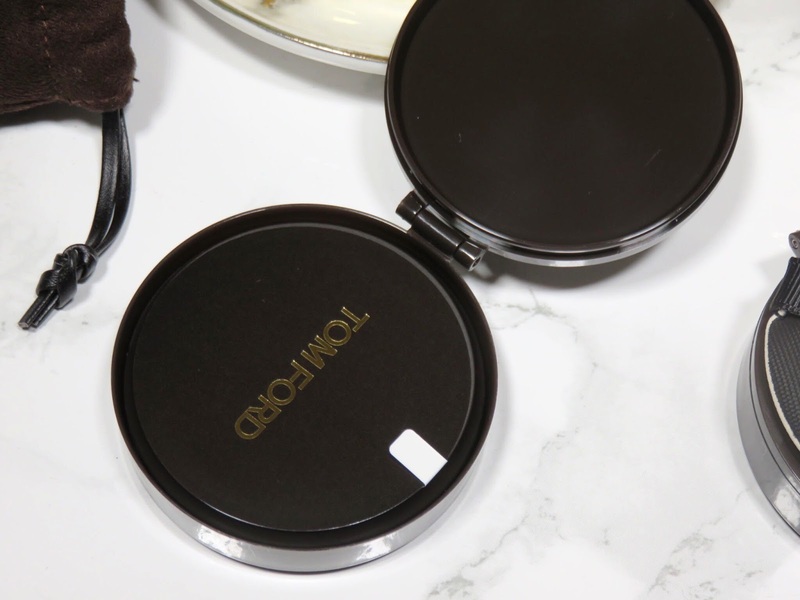 The compact comes with a mirror with "Tom Ford" etched on the bottom. The portion where the cushion goes in is basically a hole and you snap the cushion into the ring. That way you can see the underside of the cushion with the color name. This makes it very easy to pop the cushion in and out of the compact. 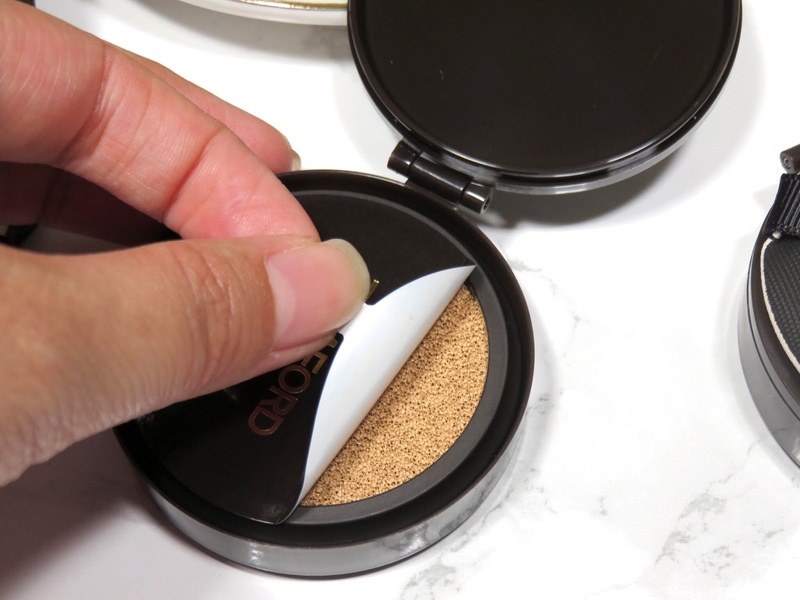 The compact also helps seal the edges of the plastic container the cushion is actually resting in. The cushion's container itself, like many cushion foundations, snaps closed but it isn't well sealed. The compact seems to really help the cushion stay sealed, so it won't dry out. The shade range is absolutely horrible! 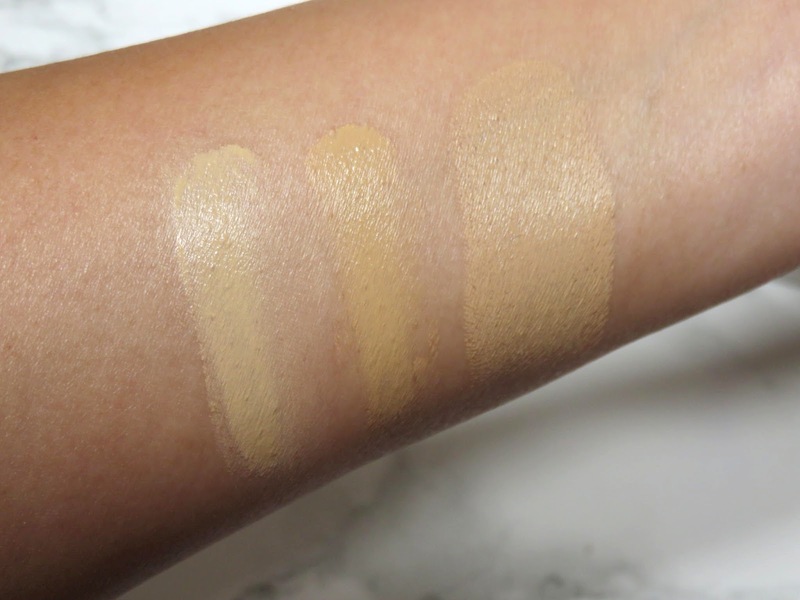 This may be because they only ever intended on selling it in the UK and Asia, where most people have light skin or try try to keep their skin quite fair by avoiding the sun, but even so, this shade range is ridiculous! This foundation only comes in 8 shades and despite having the same exact names as the rest of their foundation ranges, the colors are much lighter! I just don't understand why they would do this! Why wouldn't the come up with a new naming convention if they names don't correlate with their existing shades! It makes it incredibly difficult to match your shade unless you go into a store and try the colors on for yourself! To emphasize the lack of a shade range, in the U.S., the Tom Ford Traceless Foundation Stick has 19 shades, the Traceless Perfecting Foundation has 18 shades, the Waterproof Foundation and Concealer comes in 12 shades, and even their classic Traceless Foundation comes in 12 shades! I initially bought 4.0 Fawn because I felt like after my summer tan has worn off, this will certainly be my year-round shade, as I have had Fawn used on me in store before and it suited me very well. 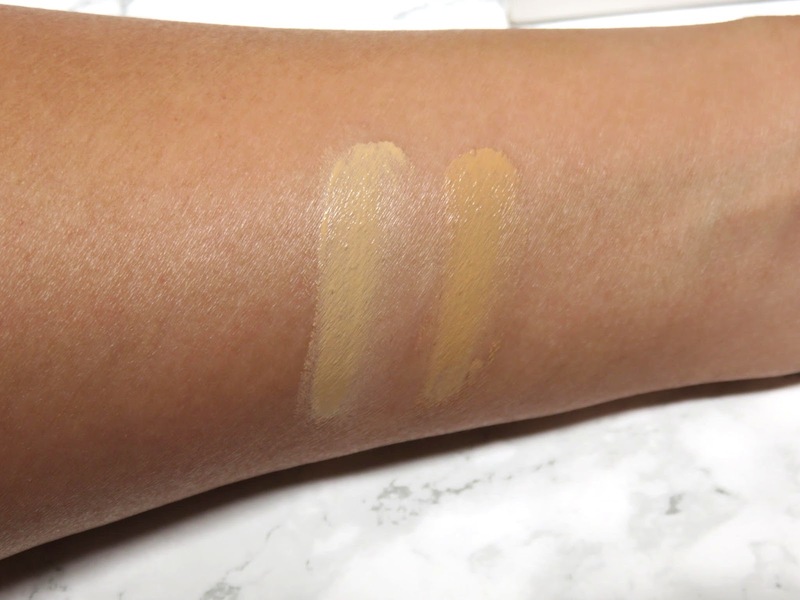 This shade is much lighter than Fawn in their other foundations however, the tone still seems to be on the warm/yellow side, which works for my skin tone. 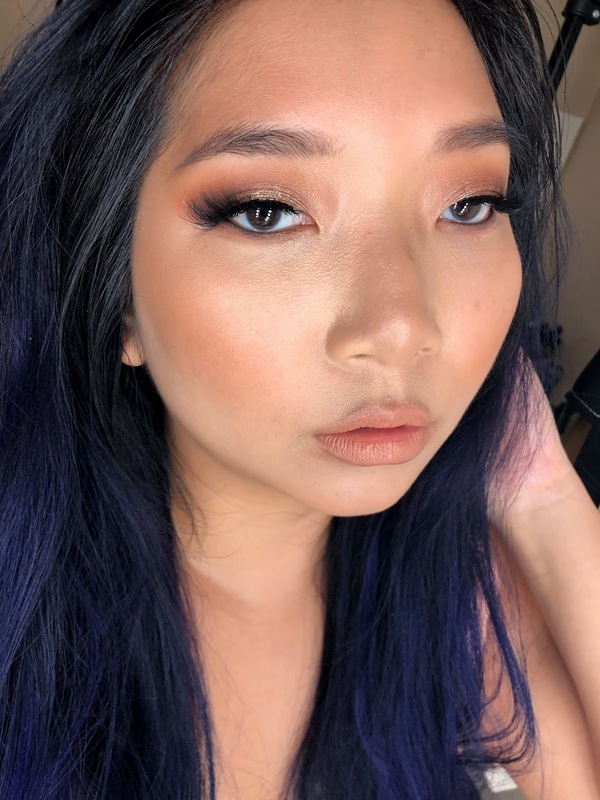 I was able to make this shade work for me by using a lot cream bronzer to really bronze up the perimeters of my face. If you're about a MAC NC15-20, this will suit you. 5.5 Bisque is the deepest shade in the cushion foundation. I own 4.0 Bisque in the Tom Ford Traceless Stick Foundation, which is lighter than this 5.5 Bisque. Clearly the numbers have more significance than the names but I'm officially very confused about their naming and color system. The cushion version of Bisque is deeper than the stick foundation. This one seems to have the same peachy tone as the foundation stick but it darker. This shade actually matches me very well now that my tan has worn off. If you're about a MAC NC25-30 this will suit you but you will probably still want some bronzer. I recommend if you are truly interested in this foundation, to head to a local counter (if your store has it) to get matched. That is, if you can find a match for your skin tone. These color do run at least a shade or two lighter than their counterparts in the other formulas. I really feel going darker in this foundation won't hurt because there is not a huge disparity between all the shade. They are all on the fair side. I think the two I chose, Fawn and Bisque, are on the light-medium end of the spectrum. I am extremely disappointing in this shade range and I really hope they release more shades soon. Let me first start of my saying that this foundation is PIGMENTED! Holy Moly! It shocked my the first time I dipped into this foundation because it was so full coverage! Which makes it even more difficult to wear because the shade range is so terrible! 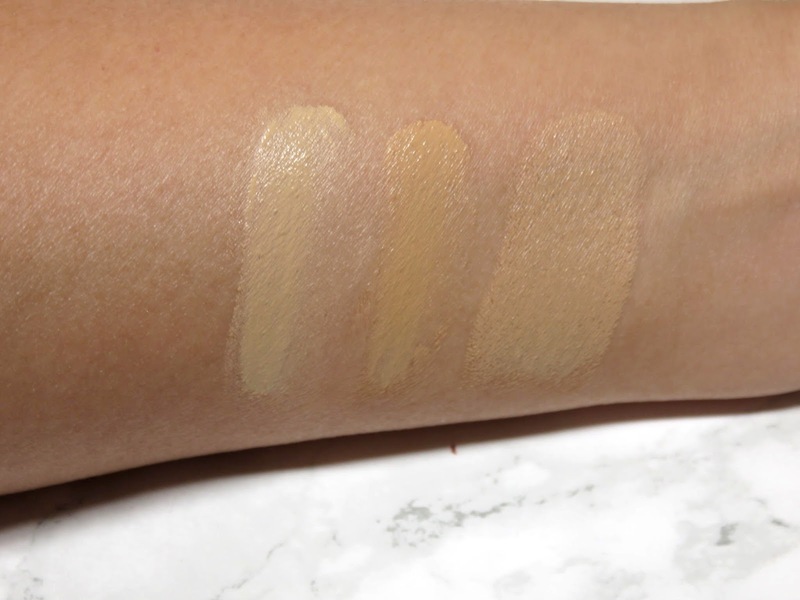 If they were sheer, more people could easily pull off these shades but because it is so opaque, it will be very clear if your foundation doesn't match your skin tone! I guess the lesson here is start with a very small amount and don't press your applicator sponge or brush too hard into the cushion. I couldn't believe Tom Ford when they said that they used this cushion to "touchup" the models at the NYFW runway show because there is no way this is a "touchup" kind of foundation! This is a FULL-COVERAGE kind of foundation! In addition, there is no way they could have used these to "touchup" the models because they had models of all skin tones and this range only covers the very fairest! 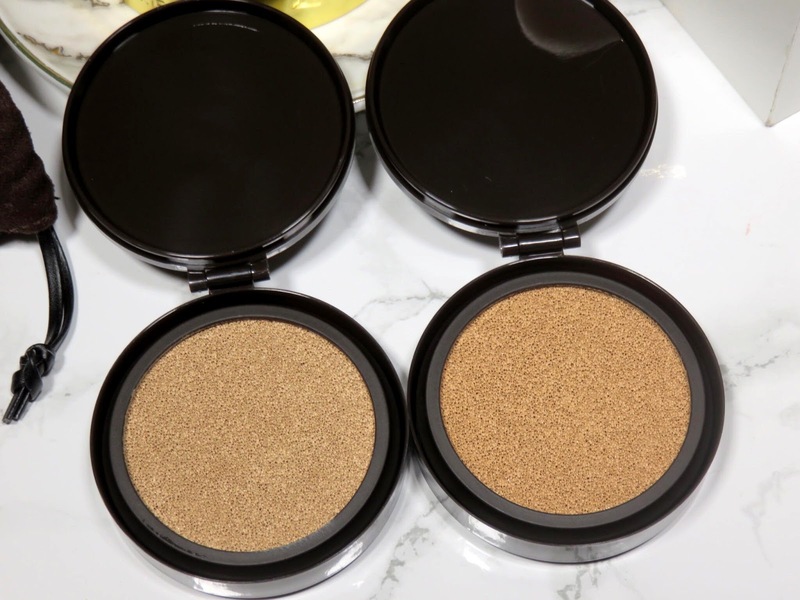 That being said, it does have a super lightweight texture that you would associate with a cushion foundation and it is very easy to blend into the skin. I find that while I normally like applying my cushions with a very dense buffing brush and stippling it on, this foundation's pigmentation is too intense for this kind of application method. 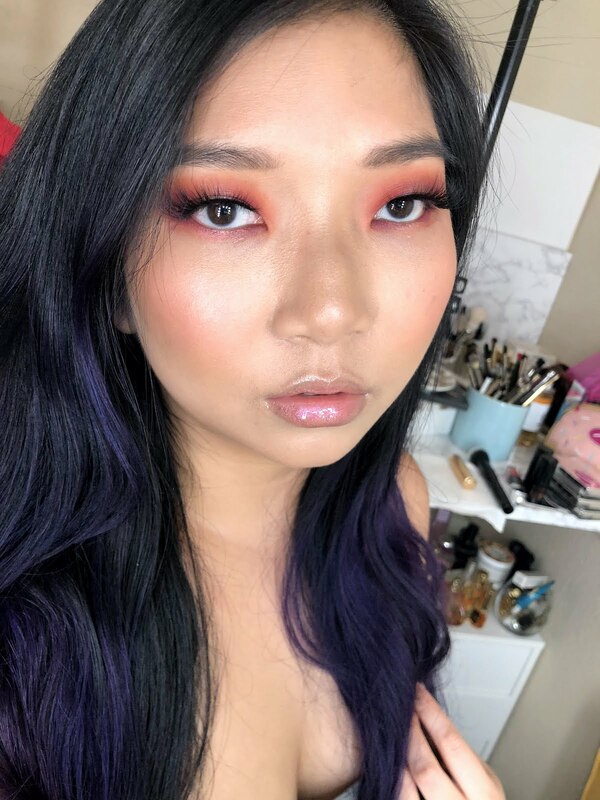 I found that combining my brush application with a beauty sponge is the way to go to get the most flawless and seamless finish, as well as, not applying too much product to the face. Taking my brush I stipple on the product in the center of my face and I use my beauty sponge to soften and sheer out the foundation a bit. I would not say this foundation is buildable because it starts off so pigmented! For me, I use my beauty sponge to try and reduce to the coverage a bit but it is really a flawless full-coverage foundation! I personally don't mind that coverage is so high because the texture is so light and it doesn't feel like foundation on your skin. The cushion contains a lot of water and really blends into the skin and fuses with it. When you apply the foundation with the included applicator sponge, it gives you the fullest coverage! I find that I don't need any concealer with this foundation. It works as a concealer all over and under the eyes without creasing. Rumors were going around that this product was a matte finish, I would not say that it is matte but more of a stain-natural finish foundation. It is on the more matte side, so as someone with dry skin, it doesn't work for me everyday. Prefer more luminosity so my skin doesn't look so dry. This is easily remedied by dotting an illuminating product all over the face or using an illuminating primer or moisturizer. The finish looks very much like a real-skin but like I said, my real skin isn't very pretty because it is so dry and this foundation can emphasize that. I think for a normal to oil skin type, this would be absolutely beautiful without modifications! This product will cling and emphasize drier patches. This foundation wears extremely well! I did not set this foundation and though it gets a little dewier throughout the day because of your natural oils, it never looked too oily or sweaty! It just looks really fresh! Now I have dry skin, so it may vary depending on your skin type. This foundation wears solid for beyond 8 hours! Even as I was removing it at the end of the day, I didn't notice the foundation fading or breaking down. It just stayed really flawless all day long! 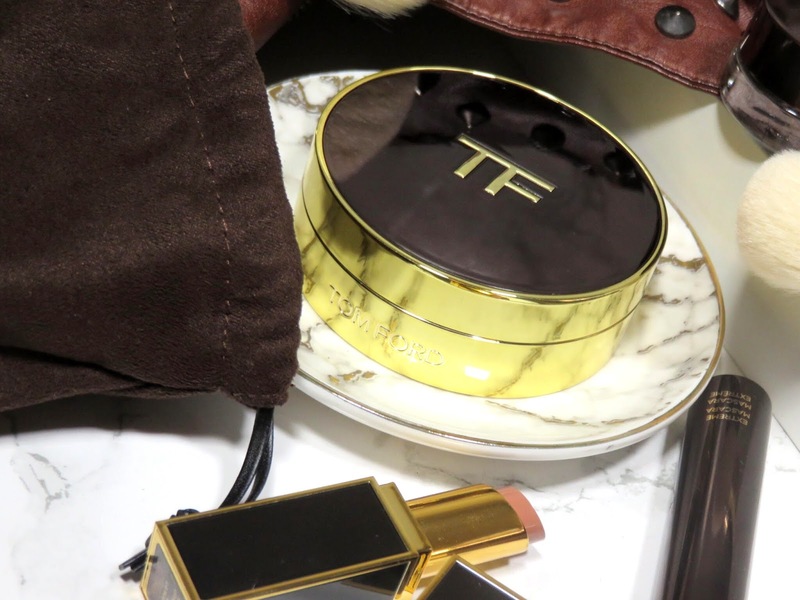 I used the cushion in these pictures you may have seen in my Hourglass Scattered Light Review and my Tom Ford Satin Matte Lipstick Review. As with many luxury cushions, this one also claims to have skincare benefits. With the Tom Ford proprietary Infusing Complex blended into the foundation, this foundation is supposed to contain nutrients that help stimulate the skin's natural repair mechanisms. This Infusing Complex is the potent ingredient found in all of Tom Ford's skincare products. The foundation even has the same fragrance as his skincare range. The fragrance is hard to pinpoint, it's a very natural herbal-like fragrance. You really only detect it during application but it disappears quickly. I don't have a lot of experience with Tom Ford's skincare range but I have had several samples in my lifetime and I have enjoyed them. Whether or not they are effective would be determined by more use. 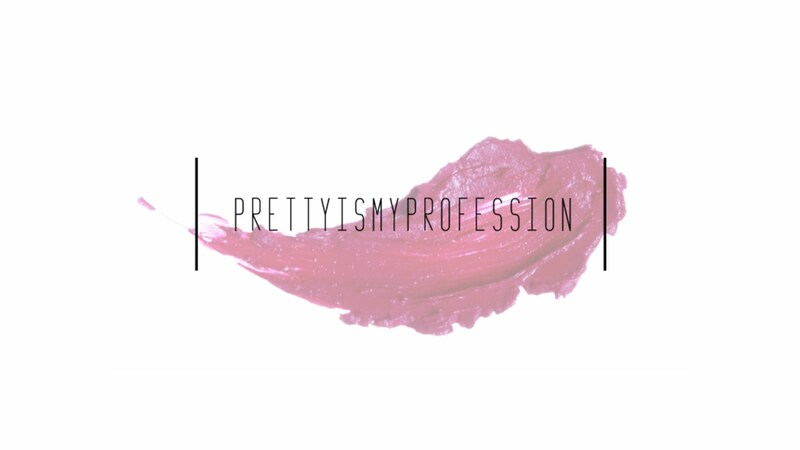 As I have said in many of my other skincare-makeup hybrid reviews, I always believe that skincare in makeup never hurts but you shouldn't expect it to perform miracles. The amount of skincare that is actually infused into this foundation is likely to be very minimal but it will still help your skin feel good while you're wearing it and if it happens to help repair your skin, well that's just a cherry on top! This cushion also comes with SPF 45, which is a kind of unusual number. We often see 50 and 30 but not often in between. Not that there is a huge difference between 45 and 50, it will still offer you great sun protection. This is another reason that I don't believe that they actually used this product on the runway, although it premiered at the runway show, because high SPF tends to cause major flashback during flash photography. They wouldn't want to risk that during a runways show. Well if you made it this far, you probably know I am quite furious and salty about this launch. This could have been such HUGE launch for Tom Ford, had they decided to include a a bigger shade range and releasing it worldwide. I am especially mad because they so publicly featured this product at New York Fashion Week! In New York! But the foundation wasn't going to be launched the U.S.?! I don't get it but it appears there are some sources reporting it will be launching in the U.S. "soon". I can't confirm the legitimacy of the U.S. launch nor a launch date. However, you can get this foundation and compact from Selfridges and they will ship to the U.S. The only problem is you will pay a fairly hefty $30.00 USD for international shipping but this also includes customs. The shipping is also very fast, I received all my products in 3 days, which is very impressive considering most retailers in the U.S. may not charge for shipping but it will take 7 days for products to be shipped to me. My final thoughts on the foundation itself is that the coverage is incredible and the finish is quite beautiful. I personally prefer my base to have more glow, so I will dot a liquid illuminator all over my face and apply the foundation on top. 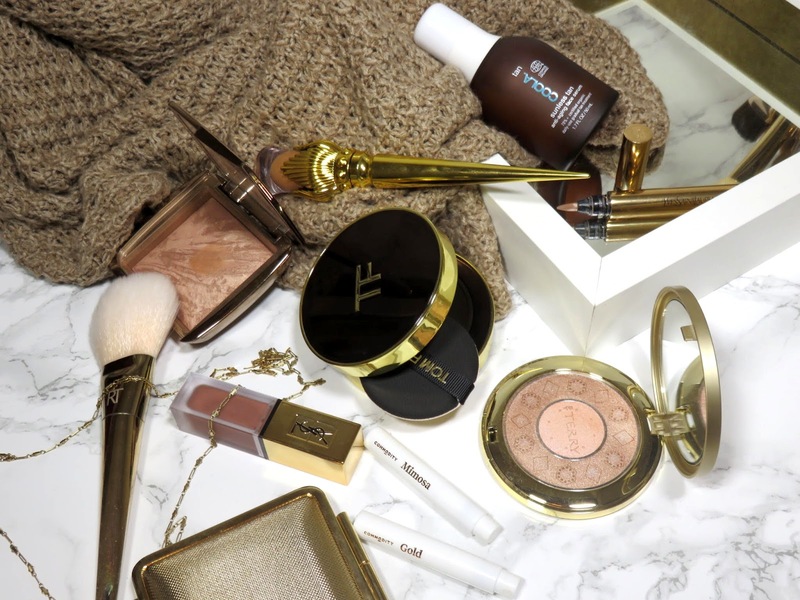 To deepen these light foundation shades when I need to, I dot the Drunk Elephant D-Bronzi Anit-Pollution Sunshine Drops because they add some bronze and glow to my complexion. 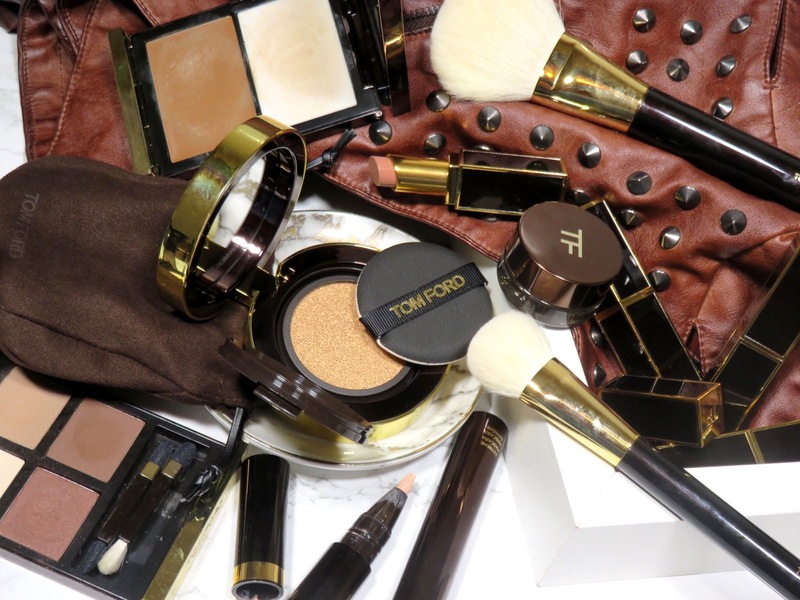 Tom Ford also makes something similar to the Sunshine Drops, it is the Tom Ford Bronzing Gel, which is similar in color and finish but with a gel consistency. Honestly, this shade range is absolute garbage. which upsets me the most! I wouldn't mind the limited shade range as much, if it felt like it spanned a larger range but all the shades are squished onto the fair side of the spectrum! For $73.00 USD for the compact and foundation, it is less than their existing foundations which all retail for $87.00 USD. However for $87.00 you receive 1oz. of product, whereas with the cushion, for your first purchase you're paying $73.00 for .42oz of product! 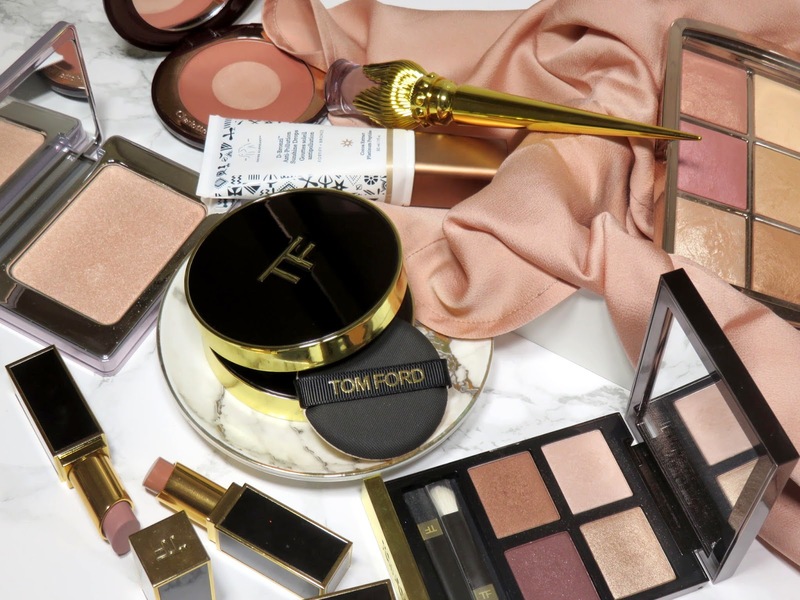 That's less than half the amount of product in the other Tom Ford Foundations Now, we also have to consider that every purchase after your first, will only cost you $46.50 but still for less than half an ounce of product (less than .50oz)! If you divide the other foundations in half, you are paying $43.50 for half and ounce (.50oz)! Are you getting your money's worth? Compared to other luxury cushion foundations that I own and I have researched? No, you are getting quite a bit less than the standard, which is .50oz. Given that the foundation is extremely high coverage, perhaps you can argue that you will use less product each time but I still feel a little bit robbed of product. Despite the lack of product and foundation shades, I really do think this foundation is beautiful. If you can fit into the current 8 shades, I would recommend this foundation. I also highly recommend going to a counter or store to get matched because of the extremely limited shade range. Thank you for your honest review!!!!! I feel that the foundation looks great on you but... there is a but! Thank you for such a detailed review. This helped me so much. Can you tell me if the cushion is compatible with most of the Amorepacific brands compacts (Hera etc.) and vice versa? Hi Ana! No problem, I'm glad that my review was helpful. 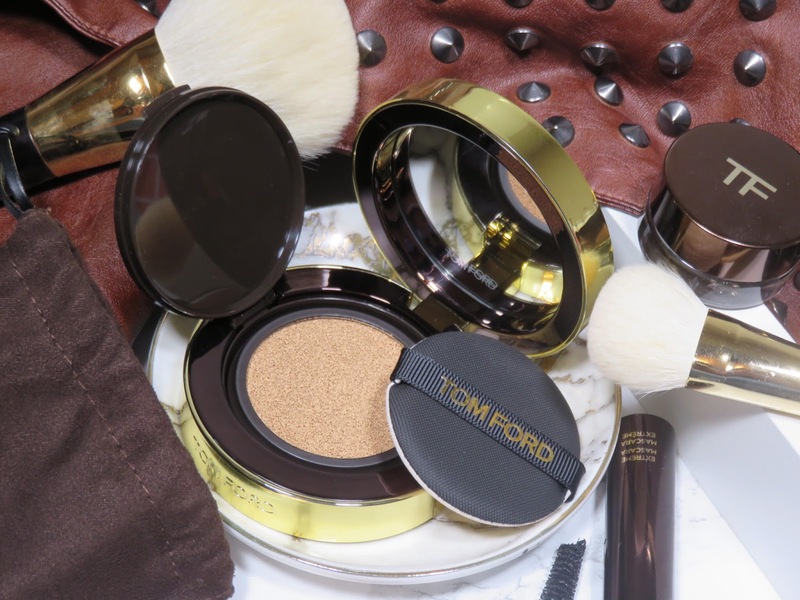 Unfortunately, because the size of the Tom Ford cushion is smaller than traditional cushions, I haven't found any cushion that will fit into the compact other than the Tom Ford ad vise versa. It appears he has made it specifically for his cushion, making it very exclusive and annoying that it isn't interchangeable. Hope this helps! All the best!